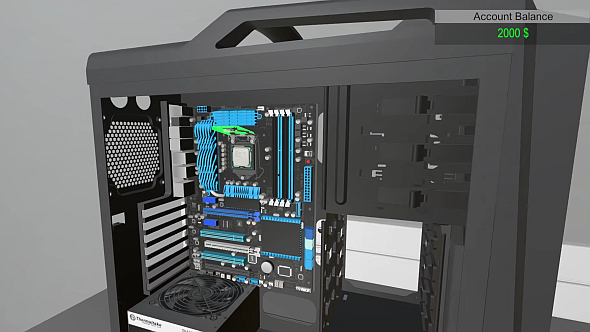 PC Building Simulator has sold 100,000 copies. That’s pretty good going for an indie title, but PC Building Simulator has hit that mark in just one month. Here are some of the best simulation games on PC. I’m going to guess I don’t have to explain what PC Building Simulator allows you to do, because that should be pretty easy to guess from the title. It’s possibly not the most thrilling of concepts, but it’s definitely useful – I’m yet to build my own PC for fear of bricking the entire thing somewhere along the way, so something that’ll teach me how to avoid doing that can only be a benefit. The game launched into Early Access just under a month ago, on March 27, and should see a full release in the next month or two. It’s currently sitting on a ‘very positive’ steam rating, with 91% of reviews recommending it. Before the Early Access release, however, it saw a pre-alpha free demo, which was downloaded 500,000 times.